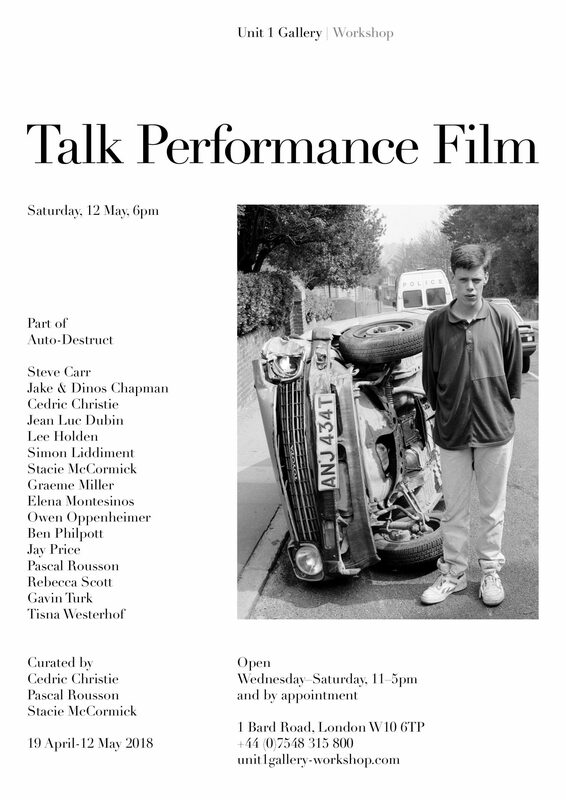 Saturday 12 May is the last day to visit our current group show Auto-Destruct. Please join us for an evening of experiences to celebrate the closing event of the exhibition. The evening will start with Lee Holden giving a talk regarding his sculpture and his relationship working with Gustav Metzger (inspiration of the show). Graeme Miller ‘Peripherique’ will present a performance and Jay Price will continue the destruction of her epic installation. The event will close with a series of films selected by the curators. Come and see Auto-Destruct through experiences and conversations with the artists as the closing ceremony of this exciting show.